I recently finished listening to the audiobook edition of Margaret Langdon’s Anna and the King of Siam, the source material for The King and I. To separate fact from legend, I also watched an episode of A&E’s Biography (which is include as a bonus feature on the dvd of the 1946 film Anna and the King of Siam which is on my watchlist for the weekend). The book (which I’ve seen described as a “biography” and “novel” and a “biographical novel”) begins interestingly enough, describing Leonowens’ upbringing in Bombay by way of Wales, her great romance with Thomas Leonowens, and his untimely demise (the cited cause being, of all things, heat exhaustion following a virtuosic tiger hunt) which forces Anna to start a school in Singapore as a means of supporting herself and her two children. (In addition to the son Louie, who appears in the musical–though a decade older than he is in the novel–she has a daughter who was in an English boarding school throughout Anna’s five years in Siam.) Anna’s arrival in Siam by boat is just as it is in the musical’s opening scene, complete with her shock at being greeted by a half-naked Kralahome (who is a more pivotal figure in the novel than on stage), and her expectations of a private residence separate from the palace. In the book, however, Anna (and her entourage which included two servants in addition to Louie) is forced to spend her first night in Siam night at a Captain’s house when the Kralahome informs her there was no knowledge of her position in the palace with no arrangements made on her behalf. The novel includes an additional, amusing, chapter in Anna’s quest for a private residence: Anna is told a house has finally been secured, and she sets out with the Kralahome to see it, only find a decrepit dwelling in particularly dirty and odorous section of a fish market and a smirking Kralahome who set the elaborate joke. Memorable moments from the musical that appear largely full formed in the novel include: Anna’s initial battle of wits with the King (in which he asks her how old she is and she slyly answers “one-hundred and fifty”); the dinner for the British Ambassador (complete with the favored wives in western apparel–and sans undergarments–being afraid of the Ambassador’s monocled gaze); writing a letter to Abraham Lincoln that offers a gift of elephants. The character of Lady Thiang exists as a particularly devoted wife of the King and an ally for Anna (though she is not a “Head Wife”, nor is she Chulalongkorn’s mother), as is there an unhappy slave named Tuptim who attempts to escape the King’s harem. (The novel’s Tuptim shaves her head and joins a monastery and is burned for treason along with a priest false charged with aiding her deception and being her lover). Anna’s teaches Uncle Tom’s Cabin to the King’s wives, one of whom (who could be considered a co-inspiration for the musical Tuptim) takes the novel particularly to heart and signs her letters to Anna, “Harriet Beecher Stowe”. These familiar events are surrounded by a somewhat tedious and repetitive sequence of events that follows the following pattern: a slave/servant/wife comes to Anna in distress over some particular injustice. Anna takes on the cause, battling the Kralahome and/or the courts and eventually the King, who expresses exasperation with Anna but eventually either does as she wishes or in some way acknowledges the validity of her point of view. 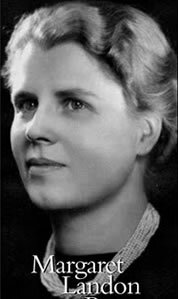 In these conflicts, the King is facist, selfish, and irrational while Anna is practically saintly. (The novel make a particulary ludicrous claim when it describes one of Anna’s grandchildren visiting Siam and trying to find her old residence: The descendants ask a native Siamese if they remember an “Anna Leonowens” and are met with blank stares. When they ask if he’s heard of “The White Angel”, the Siamese’s eyes light up with recognition and leads the grandchildren to the exact spot of Anna’s old home.) Compared to the novel, Hammerstein’s King is more measured, rational and good-natured, with the musical’s Anna exhibiting an understanding and appreciation of the King’s accomplishments and strengths (particularly in the touching finale) largely missing from the novel. Margaret Landon says in an afterword that her book, which required extensive research to fill the gaps in Leonowens’ memoirs, is 75% fact and 25% fiction. But much of what Leonowens presented as fact throughout her life turned out to be a finely crafted fiction in its own right. 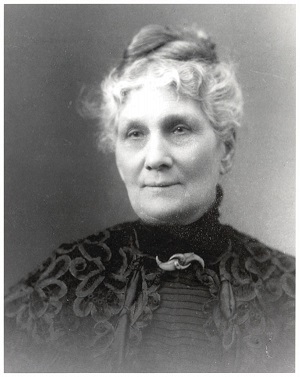 The “real Anna” grew up quite poor, though the novel asserts that Anna came from money and only fell on hard times when she was cut off from the family fortune by a wicked step-father who disapproved of her marriage to Tom Leon Owens (whose middle and last name Anna would eventually convert into her own surname). Tom died not of complications from tiger-hunting, but from apoplexy. But the core of the novel appears to be grounded in fact: Anna really did teach the 60-some children of King Mongkut, spoke out against slavery, encouraged the women of the palace to think independently, and shared with them Uncle Tom’s Cabin. 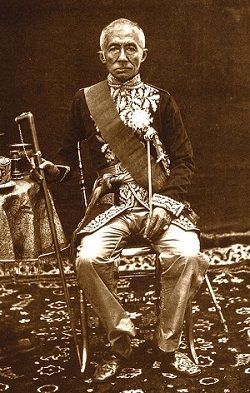 And Prince Chualongkorn was indeed one of Anna’s pupils and did abolish slavery and institute other progressive reforms during his eventual reign as King, though one cannot infer that his enlightenment was solely (or even significantly) due to Anna’s influence. (An amusing quote heard on the Biography episode: “There was virtue in Siam before Anna Leonowens”). On the other hand, the fact that Louie spent his adulthood in posts within the Siamese government under King Chulalongkorn implies that Anna was certainly liked and respected during–and remembered long after–her time in Siam. The most shocking revelation from Biography? Anna Leonowens is great-aunt to Boris Karloff (though she estranged herself from that side of the family when they engaged in interracial marriage).